Welcome to all of our Subscribers and Supporters. Thank you for helping to keep the spirit alive for the past 35 years. We are a non-political magazine focusing on history and contacts. We are published by Rhodesians, about Rhodesians and for Rhodesians and those interested in our erstwhile homeland. 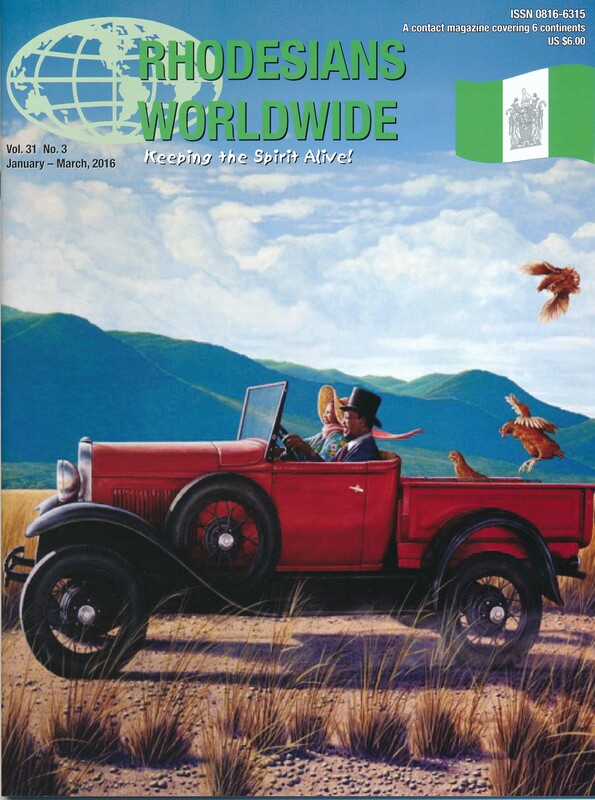 This is the only online home of the Rhodesians Worldwide® magazine, the magazine that has been “keeping the spirit alive” for the past 33 years. We are dedicated to keeping Rhodesians and those interested in our country in contact with each other and we encourage you to browse this site and to subscribe to our wonderful magazine that is produced by Rhodesians about Rhodesians and for Rhodesians. Our photo gallery is part and parcel of our Facebook presence. Please feel free to go to our Facebook page called Rhodesians Worldwide and see the pictures there..